At long, lovely last, the kirtsy book – Kirtsy Takes a Bow – will be released this month! One of my essays will appear in these pages, and I feel so honored to find myself in such wonderful, talented company. Edited by Laura Mayes, the book is beautiful. I hope you’ll pick up a copy when it hits bookstores in another week or so, or you can find ordering information and some images of the book here. 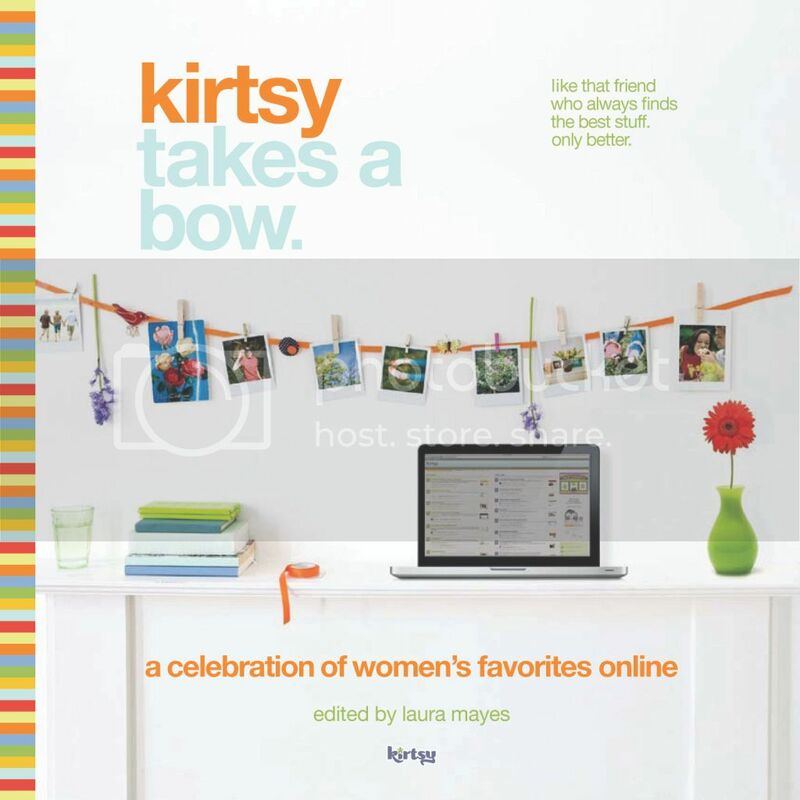 Kirtsy Takes A Bow: A Celebration of Women’s Online Favorites is an artful collection of writings, photography, tweets, websites, online stores, and other creations — the inspirations of more than 100 social media leaders, entrepreneurs and artists. This new book artfully represents the dynamic movement of inspirational works that are making the web the definitive forum of our time. The result is an absolute must-have book for any woman who wants to know just what is happening on the Internet and for any man who wants to know just what women are up to. There will also be a book tour, with eight cities scheduled so far. You can find details about the events here, and if your city is on the list, I hope you’ll come out to meet the local contributors, Kirtsy founders, partners, editors, and friends. I’ll be attending the Washington, DC event on Thursday, November 19, and would love to meet you if you’re in the DC area! Plus, there will be wine. Now you have to come. I’ll be giving away a two copies of the book in the next couple of weeks, so look for those details in an upcoming post.